He bought his first cattle after he graduated from high school, and began row crop farming on his own in 2013. He now maintains a herd of 100 cows. Half of his herd has calves in the spring and the other half in the fall. He uses a three crop rotation of corn, soybeans and wheat on his cropland. There are several benefits to using crop rotation, including improved nutrient cycling and better weed control. He plants about 300 acres of his cropland to a mixture of wheat, turnip and radishes that his cattle graze in the winter. These cover crops can build organic matter and nitrogen in the soil. They help build soil structure, reduce erosion, reduce compaction, recycle nutrients and keep weeds in check. Allowing the cattle to graze the cover crops in the winter has an additional benefit of lower feed costs. Balding has come a long way since the first cattle he bought 15 years ago. His plans for the future are to continue to improve what he has. He wants to keep building up his soil and improving the soil health. He would also like to grow his cattle herd. 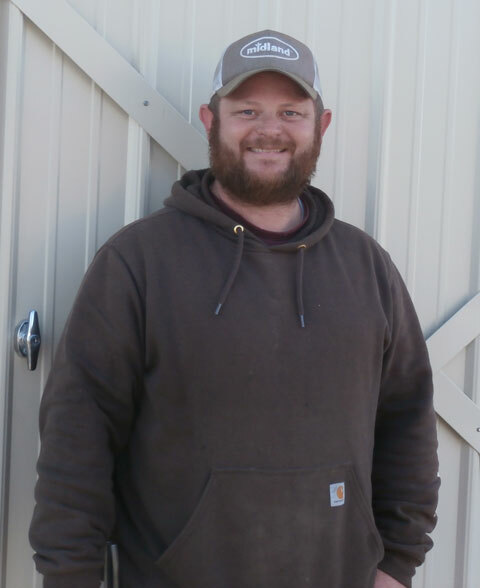 Balding will be honored for all of his hard work and as Osage County’s 2018 Young Farmer during the Osage County Conservation District’s annual meeting, at 6 p.m. Jan. 28, 2019, at the Osage City school cafeteria. 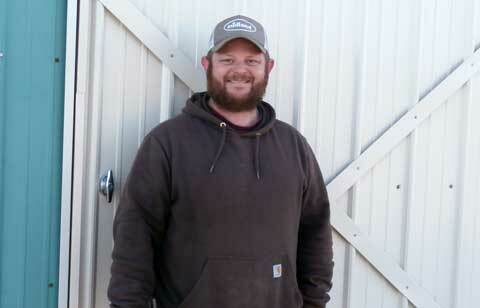 Jace Balding: Osage County’s 2018 Young Farmer. Courtesy photo.